Why not book a group cooking lesson with us. We offer our cooking lessons to all groups from a hens or bucks party, to a corporate group or just some friends looking to have a little fun that is not the run of the mill evening. 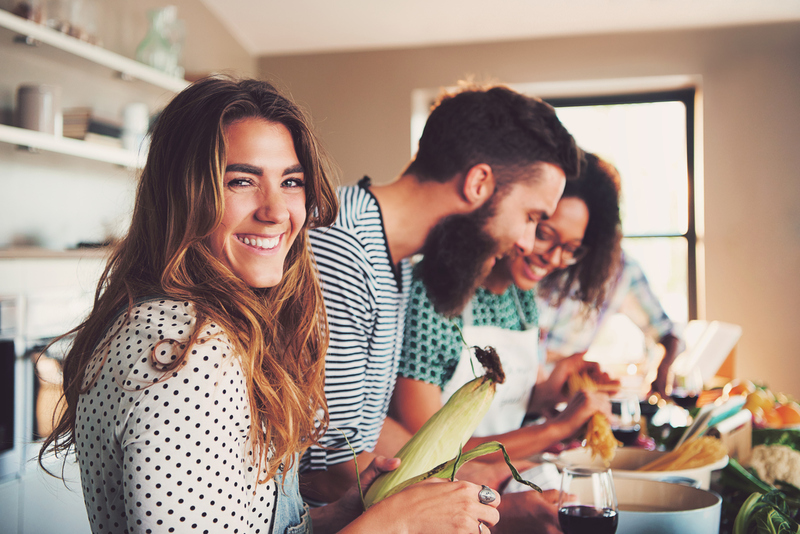 You can choose either to have the Cooking Class in your home, or ask us about some of the spaces we have available if you think your kitchen won’t contain your enthusiastic group of soon to be chefs. Classes include the food to create the dishes, specialty equipment and the Chefs time for 3-4 hours at your house.